ASK ABOUT OUR SPECIAL MAX DISCOUNT! LARIAT ULTIMATE PACKAGE ** POWER STROKE DIESEL ** F-350 ** 4WD ** FX4 OFF ROAD ** LEATHER ** PANORAMIC SUNROOF ** NAVIGATION ** FORD SYNC ** BLUETOOTH ** NEW 6 INCH LIFT, 22" FUEL WHEELS WITH 37" TOYO TIRES NEW ($7500 PACKAGE)** BACKUP CAMERA ** PREMIUM SONY STEREO SYSTEM ** POWER RUNNING BOARDS ** SPRAY-IN BED LINER ** TOW TECHNOLOGY PACKAGE ** CLEAN TITLE ** CLEAN CARFAX ** This 2017 Ford F-350 Crew Cab Lariat 4WD is LOADED and Ready for your Next Adventure! Powerful 6.7L Power Stroke Diesel Engine with Automatic Transmission is more than capable to Tow/Haul for ALL your needs! Luxurious Leather Interior is in Excellent Condition and features Dual Power Front Seats that are Heated and Cooled! Rear Heated Seats and Heated Steering Wheel as well. Enjoy listening to ALL your Favorite sounds on this Premium SONY Stereo System featuring Ford SYNC System and Satellite Radio. 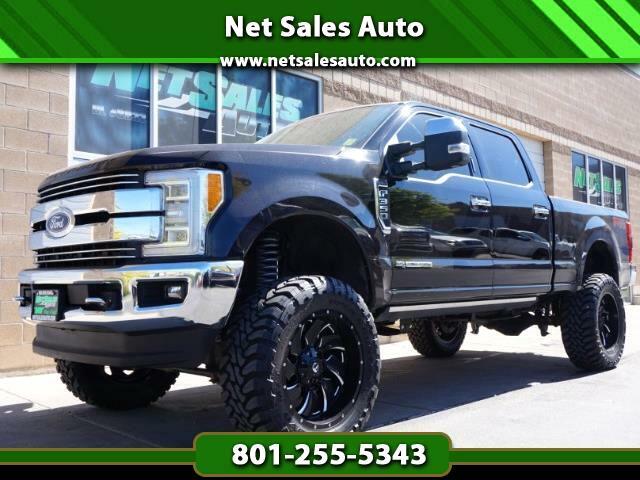 You are going to LOVE this Ford F-350 Lariat! Call NOW to set your Appointment, Before this Power Stroke Diesel is GONE! !